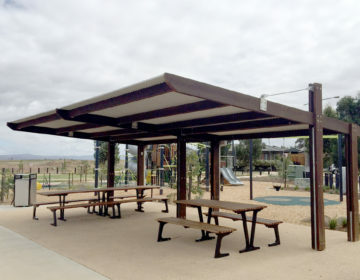 Solar lighting in public restrooms and park shelters around Australia is becoming the rule rather than the exception. For structures in remote areas without mains power, solar is the best option for lighting, and to increase the safety and security of visitors. Where mains power is available, solar lighting can decrease power costs. 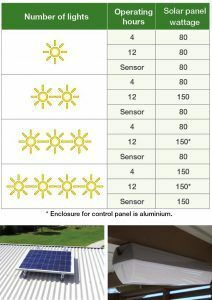 Landmark’s Solar Lighting System is 12-volt, and generates its power from high quality solar panels from a leading manufacturer, matched with gel batteries for superior charging performance. The strong cased light is vandal resistant. The LEDs emit a 6000 Kelvin natural light and the low power draw of LEDs reliefs the high technology battery of high loading. 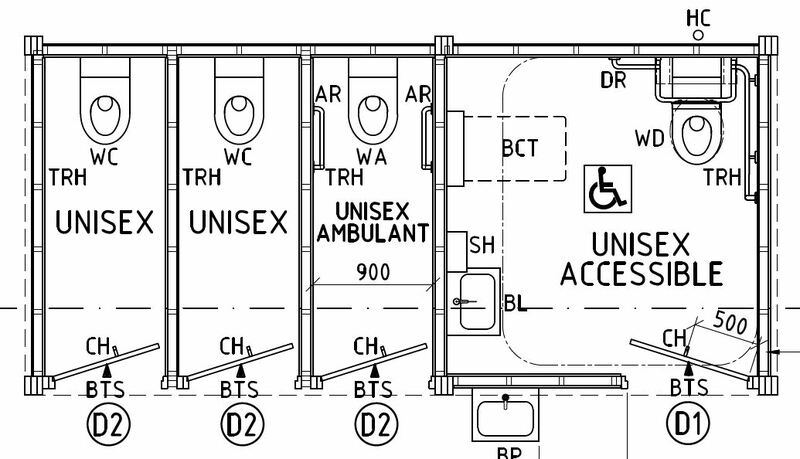 The solar panel supplied with a system depends on how many lights are in the restroom or shelter, and the operating hours required (see table). Four hours typically accounts for dusk until midnight, and 12 hours for dusk-to-dawn. A power-saving option to a timer is a passive infra-red (PIR) motion sensor. The micro controller includes an easy time-adjust ability and is fused in the battery enclosure, providing a safe, reliable system. A stainless steel or aluminium marine grade enclosure for the control panel (upgraded from the standard mild steel) is recommended and supplied for high corrosive locations. You can download Landmark Products’ Solar Lighting brochure here.